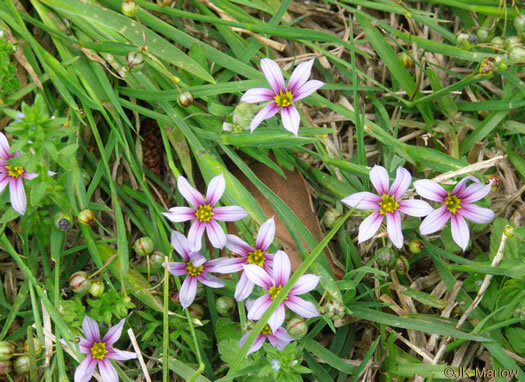 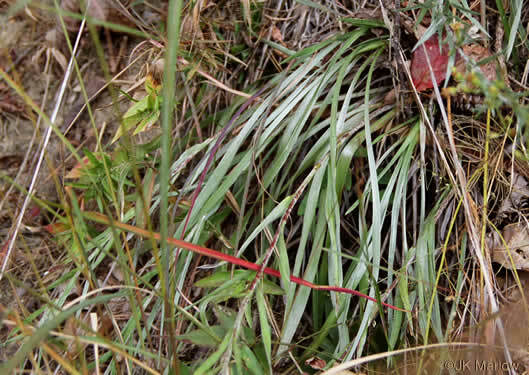 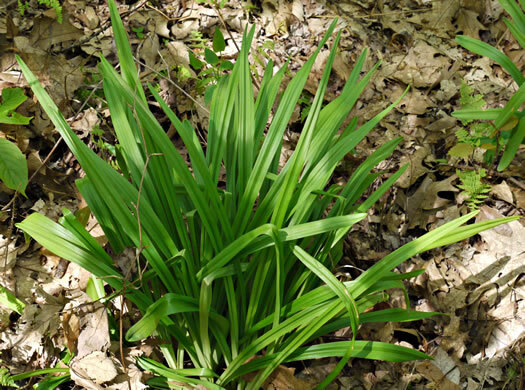 Your search found 21 image(s) of grass-like leaves of woodland or meadow flowering herbs. 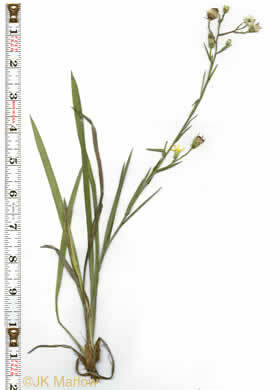 Leaves mostly basal, equitant, linear, 1-6mm wide, per Vascular Flora of the Carolinas. 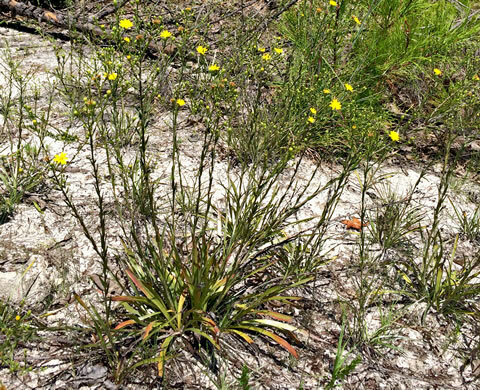 Leaves erect, grasslike but with a succulent texture, less than 8mm wide, per Wildflowers of the Sandhills Region. 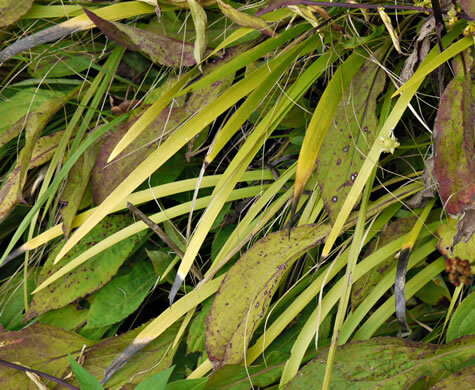 Leaf margins are minutely upwardly-scabrous, whereas those of Iris are smooth, per Weakley's Flora. 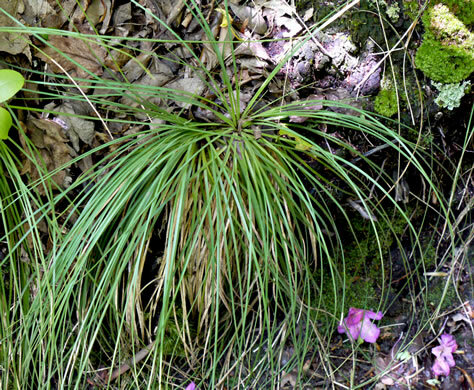 Superficially similar to Zigadenus glaberrimus, per Weakley's Flora. 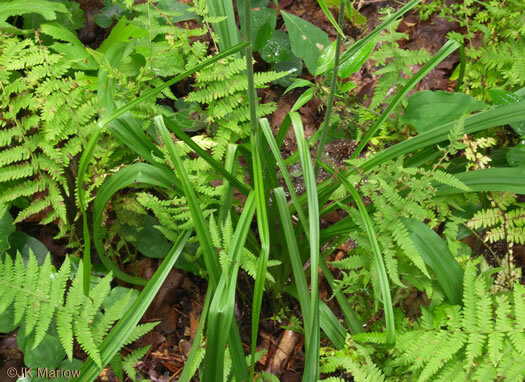 Leaf blades narrowly oblanceolate, 25-55cm long, 1-7.2 cm wide, apex acute, per Flora of North America. 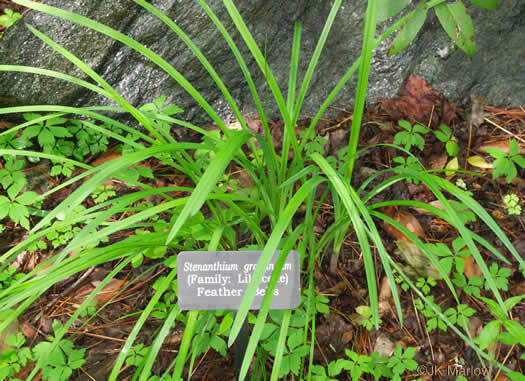 Leaves 8-30" long and linear in outline, per Atlantic Coastal Plain Wildflowers. 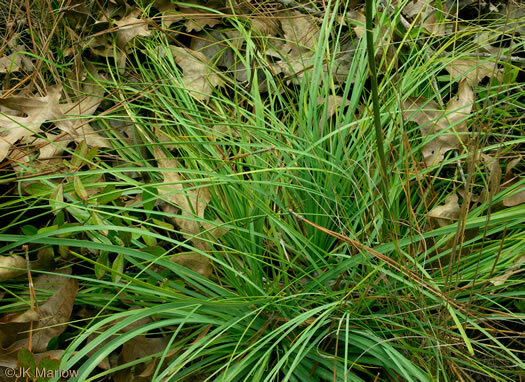 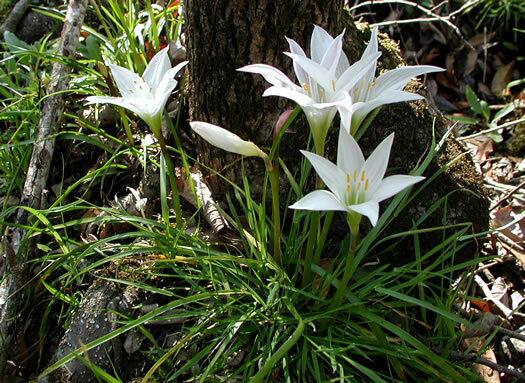 Leaves are grasslike and basal, per Wildflowers of the Southern Mountains. 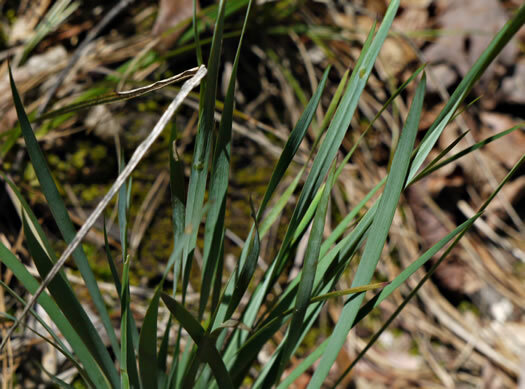 Grass-like basal leaves up to 16" long, per Wildflowers & Plant Communities of the Southern Appalachian Mountains and Piedmont. 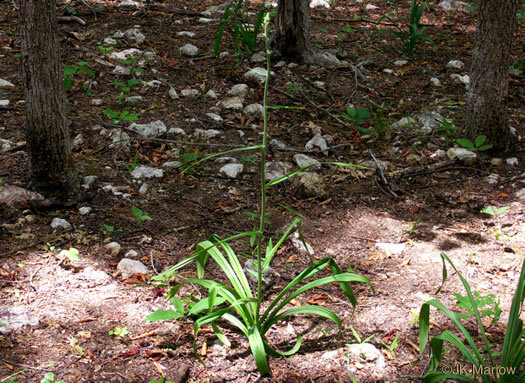 Don't try to treat burns with this "aloe"! 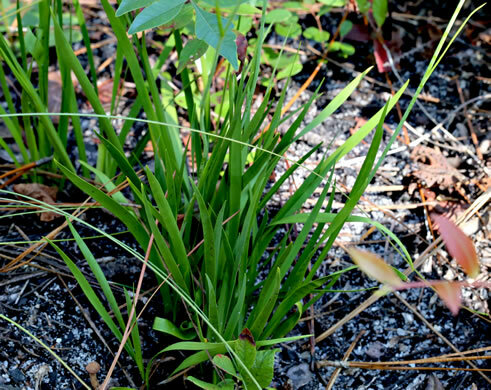 Plant juices can irritate, per All About South Carolina Wildflowers. 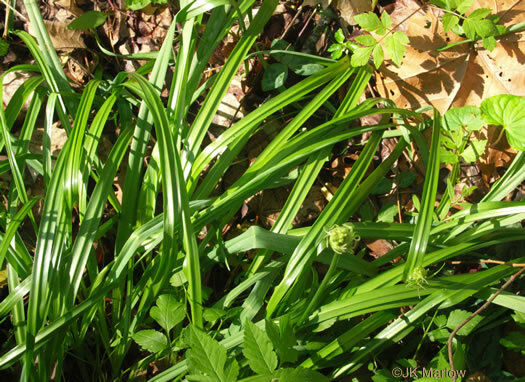 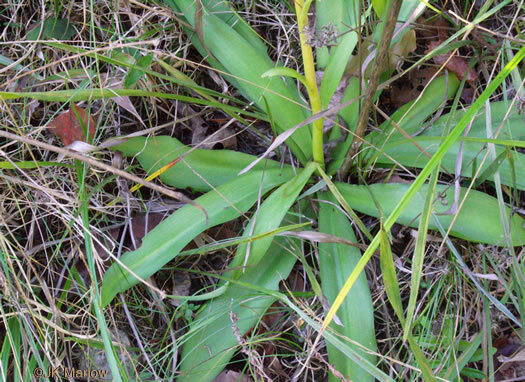 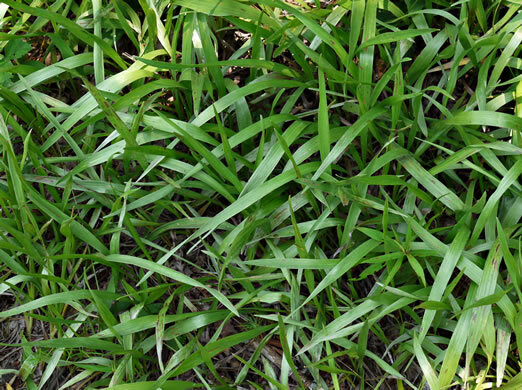 Flattened, winged stems (scapes) closely resemble the grasslike leaves, per Wildflowers of the Southern Mountains. 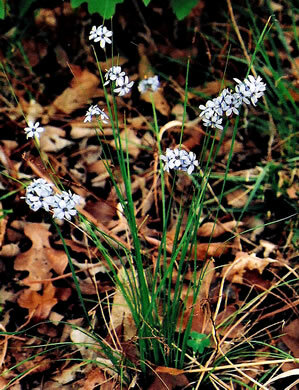 Leaves very narrow, the flattened winged stems unbranched & only 1/16" wide, per Wildflowers of the Southern Mountains. 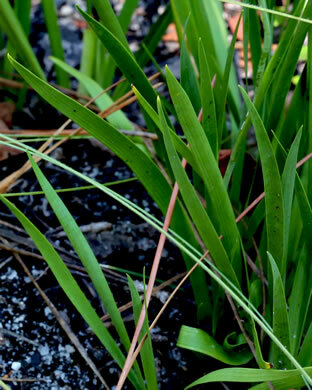 Scape conspicuously winged, 1/8"-1/4" wide, and about same length as leaves, per Wildflowers of the Southern Mountains. 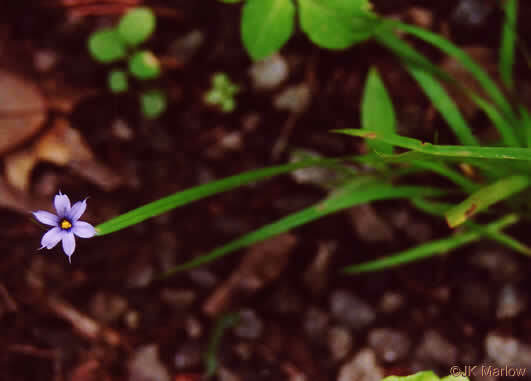 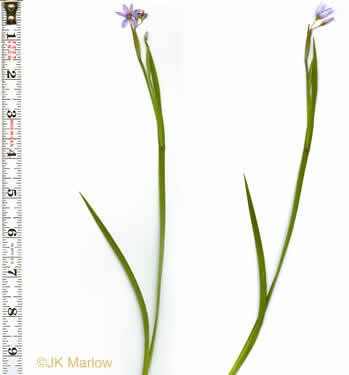 Sisyrinchium rosulatum is apparently weedy throughout much of its range, per Flora of North America.